All credit card payments are made through BANCO SABADELL and the SERVIRED service. This means that our website does not store any information from your credit card, as all operations are performed on the secure website of Banco de Sabadell. Apart from meeting the needs of the Spanish market, the scheme provides interoperability ServiRed internationally through co-branding with international brands Visa and MasterCard. 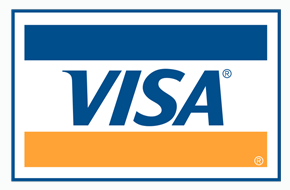 For this purpose, is licensed ServiRed Group Member of Visa Europe and Principal Member of MasterCard International. Under these licenses, ServiRed members are empowered to issue and purchase of products under the Visa and MasterCard respectively. ServiRed Spanish Society of Payment Systems, SA scheme is a means of payment which has 37 million cards (credit and debit), 664,077 businesses and 32,060 ATMs. Corporation is a hundred percent Spanish capital of whose 97 member banks, 89 are shareholders. The main objective is to assist ServiRed financial institutions in cash for the replacement of innovative electronic payment systems and effective to reduce the enormous costs of cash management for society as a whole. ServiRed, currently operates solely in the Spanish market. However, the advent of SEPA opens up a range of possibilities for individual domestic schemes begin to provide services in other European markets. ServiRed enjoys a great reputation in the industry at European level and is well positioned to accompany the financial institutions group in its European expansion. 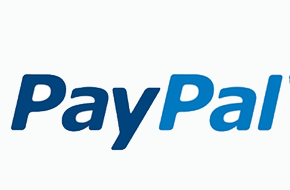 All payments by credit card are made securely through the payment gateway or Paypal Banc Sabadell. The safety of such entities we refer. This technology allows data entered on the screen and traveling through the network using an algorithm with key variables at each connection. These codes are the essential element of which is the security of a "secure server". SabadellAtlántico is hosted on a secure server and has incorporated these 128-bit keys. using the latest available certificates, called Extended Validation certificates and EV SSL certificates. Security: Buy safely without providing details of your card. Variety: Make your purchases on eBay and over 100,000 Web sites worldwide. Simple: Make payments for your purchases in seconds. 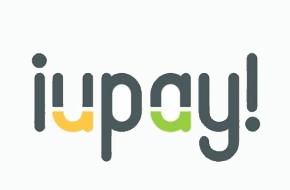 iupay is a digital wallet that allows its users to store all their cards for online purchases. iupay is a digital wallet that allows its users to store all their cards in order to make online purchases. Of course! iupay is a completely safe and certified service, which meets the most stringent safety standards card brands and banks. In iupay ever you provide your card details in full, you provide only the first six and last four numbers.